Check below to find answers to your most frequently asked questions. 1. What is the pharmaceutical manufacturing industry? The pharmaceutical manufacturing industry makes prescription, nonprescription medicines and vaccines in highly sophisticated and controlled manufacturing facilities. 2. What is the medical device manufacturing industry? This industry makes items such as respirators, contact lens, heart valves, stents, artificial limbs, artificial joints in highly sophisticated and controlled manufacturing facilities. 3. Veterans in Pharmaceutical or Medical Device manufacturing? Seriously? How could being in the armed forces make me suitable for a job in these industries? There are enormous similarities between the military and the pharmaceutical and medical device manufacturing industry. First and foremost, there, is the sense of a mission and a dedication of helping and serving others, closely followed by the ability to constantly adapt to a changing environment. Here is Lisa Uthgennant from Convance on Veterans. Furthermore you military training has developed level of attention to details and a deep seated belief in the life saving value and need to follow protocols and processes. 4. I sometimes hear the term “Life Science Industry” What is that? Life Sciences is broader term that includes companies in the fields of pharmaceuticals, biopharmaceuticals, biotechnology, biomedical technologies, life systems technologies, nutraceuticals, medical devices, biomedical devices, and organizations and institutions that devote the majority of their efforts in these industries. 5. Who are these courses suitable for? This will depend on your background and rank. are a great fit for our course. 6. What if my rank grade is E8 or higher? To be honest, depending on the role you had, in many cases, you may already be qualified enough to get your foot in the door without much if any additional training. But you many need training on Good Manufacturing Practices (GMPs). It’s going to depend heavily on the role you had in the military and your target role within the pharma space. In addition, if you want more advanced roles, you are probably going to need to get more advanced level qualifications. 7. What kind of jobs are available? Will the salary allow me to comfortably take care of my family? Yes, according to the Bureau of Labor Statistics, these industries pay between 20% to 30% more than average mean salary. Your exact salary will depend of course on your specific role, your level of experience and your location. The following salary numbers taken from the BLS will give you a rough idea of what to expect. Please note that these are average median wages for these roles within the pharma and med devices sectors so do expect some variation both up and down. Many veterans have a good understanding of the link between leadership and production, quality, safety, maintenance, and procedural compliance. They are able to communicate and build teams from the individual to the plant level. This is a typical entry-level role. Many veterans and military personnel are highly skilled in using technology as they troubleshoot and repair electronic, electrical, and mechanical systems in the toughest of environments. Those with automation and maintenance experience are perfectly suited to roles which involve the installation, calibration, and servicing of capital equipment. With relevant experience, this can be an entry level role. Many Veterans make good candidates for compliance and quality related positions. Safety compliance and procedural compliance are taught and reinforced in the military and these skills readily translate into the highly regulated manufacturing environment of pharmaceutical or medical device manufacturing. Veterans with this skill set can easily understand the cGMP (current good manufacturing practices) and SOPs (standard operating procedures) that are essential here. With some quality experience, this can be an entry-level role. With some relevant experience, this can be an entry-level role. 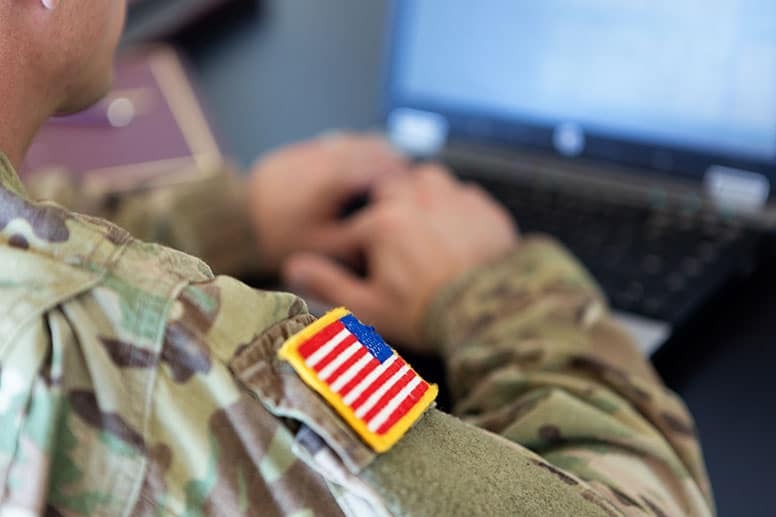 With advanced specialist training, many veterans and military personnel would make ideal candidates for the following specialist and highly paid roles. … there are many other job roles that could be open to you. These roles would not typically require the technical industry-specific retraining of the roles outlined above. 8. Do I Need a Science Background or an Advanced STEM Degree? No, the above roles don’t require an advanced STEM degree. But they do require people with a strong work ethic and can be part of a team, or lead one. In addition, the industry needs people who make good decisions, whilst also being flexible and are effective in new and different environments. 9. How long is it going to take to complete the course? Your Role in the Military – Generally speaking, you will be looking at a minimum of 12 months to complete a relevant course. In lots of cases, you can be ready to start applying for a job in as little as 4 months. If you do secure a job, you can keep studying while you work. Your rank grade. Our courses work best for Veterans with have a rank grade of E3 – E7. If you are higher, you may already be qualified enough to get your foot in the door but of course this advice comes with the usual caveats. 10. Can I pause the course delivery if I am suddenly deployed? Absolutely, you can pause the course for up to 6 months and continue on with your studies after your deployment has ended. 11. How long will it take me to earn back my tuition? As mentioned, people in the pharmaceutical and medical device industry are well paid and with the skills you’ll learn on this course you should be able to earn back your tuition within 2 to 4 months. 12. Where are the jobs located? Important: Of course, there are pharmaceutical and medical device plants located outside of these clusters as well but they won’t be at the same level of concentration. 13. How do you help me find a job? You will automatically be enrolled in our career coaching which will go through everything including building out your network, identifying the best roles to apply for, customising your resume to every application, speculative job application and much more. We expect you to make a minimum of over 100 fully customized job applications over the duration of the course where you will have to customize your resume and cover letter (if required) to every single job application. Frankly speaking, a one resume fits all job applications approach yields very poor results. 14. What is an example of a company I could work for? Pfizer, Johnson & Johnson, Novartis, Roche, GSK, Teva, Sanofi, Amgen, Abbott, Abbvie, Boston Scientific, Stryker, Mylan, Bristol-Myers Squibb (BMS), MSD, Merck Group, Gilead Sciences, Regeneron, Medtronic, GE Healthcare, Lilly, West Pharma, Jazz Pharmaceuticals, Zimmer Biomet, Becton, Dickinson & Co and many more. 15. Will working in the pharmaceutical and medical device industries give me the same sense of accomplish and mission as with the armed forces? We believe so. Working in these industries requires people who are dedicated and mission orientated and who work with a high level of attention to detail and you will find plenty of like minded people working there. 16. How much will the cost and how can I finance this? If you qualify for this scholarship, your total course fees will be $11,999 instead of $16,999. Take this quiz and find out if you are eligible. You can pay this upfront before you start or you can pay in monthly installments, for the year of your study, at no extra cost (0% interest). And we’re also not going to try to sell you any loans. We believe in making our program affordable to help you avoid student debt. In fact, we strongly recommend you take a pay as you go approach so you can finish the program without any debt. In addition to our $5000 scholarship for military personnel and veterans, we offer a money back job offer guarantee. To qualify, within 50 miles of the Philadelphia to New Jersey pharmaceutical manufacturing corridor (we are expanding this to include other pharmaceutical and medical device manufacturing hubs) or be willing to relocated and actively job hunt within this area. You also have to successfully complete both your academic program and your weekly job hunting tasks. If you meet all those criteria and you don’t manage to get a job offer, we’ll give you all of your tuition fees back. 17. What are the terms and conditions of your job guarantee? GetReSkilled guarantees that you will receive a Job Offer as an employee or a contractor within 3‐ months of successfully graduating from your training program and all its assessments (the Job Offer Period). Further, in your new job GetReSkilled guarantees that your gross income from such job over a 4‐month period will be greater than the cost of your course fees following job placement. Terms and Conditions throughout the Job‐Hunting program. Must be eligible to legally work in USA for at least 1‐year following successful completion of the Job‐Hunting program. Must be over the age of 25 years. Must have completed all Career Coaching assignments in accordance with the Job‐Hunting program schedule. Must have completed the GetReSkilledProfessional Profile (Resume) format and allowed Recruiter Access to same in accordance with the Job‐Hunting program schedule. Must be active in job search and demonstrates this activity by submitting a minimum of 5‐job applications each week. The employer, position, date of submission,and all application materials for each position applied to within the Job Offer Period. The application materials must show clear good faith effort and be tailored to the role and company. Applied positions must meet the skill level obtained through the relevant eBioPharma Validation program. Must be responsive to outreach from the GetReskilled Career Coaching Team within 72 hours during the Job‐Hunting program schedule. An example of communication is to confirm/deny interest in a given role from an employer. Must not have rejected any Job Offers that match ability and expectations as defined by theirGetReSkilled Professional Profile (Resume) upon completion of the training program. Must be subject to auditing at any point in the Job Offer Period for GetReSkilled to check that terms have been adhered to. Should the Successful Graduate fail to receive a Job Offer within these parameters, GetReSkilled will reimburse the full tuition amount minus any rebates, scholarships and payments which may have been received from GetReSkilled. The reimbursement will be paid within 1‐month. The reimbursement request must explicitly be made via email to [email protected] within one calendar month following the Job Offer Period. Failure to provide timely notice will void the guarantee. GetReSkilled is not liable if the Successful Graduate fails to pass any background check associated with the Job Offer. GetReSkilled is not liable if the Successful Graduate loses the job for any reason. GetReSkilled may involve third parties in its job placement efforts at no extra cost to the Successful Graduate. Nothing herein is intended to establish or create a fiduciary relationship, partnership, or joint venture between the Successful Graduate and GetReSkilled. 18. Could I Use GI Bill Funding to pay for retraining? You cannot use your GI Bill funding for this program. But, even if you could, we recommend that you don’t. We’d suggest you keep your funding for a more costly graduate programme delivered at a campus. We’re working hard to make our courses affordable to military personnel without you having to use your funding. “1/ You’ll be missing a lot of the financial incentives that come along with the G.I. Bill. When a vet uses the G.I. Bill on active duty, he or she is ineligible for the relocation allowance and the basic allowance for housing that come with the G.I. Bill benefits. In using your G.I. Bill on active duty, you’re lessening its value by tens of thousands of dollars. 19. How are you different from the other online course providers out there? 1) First we put our money where our mouth is. We offer a no strings job offer guarantee. If you don’t get a job within 3 months of graduating, we’ll refund you your tuition. Currently we offer this guarantee within 50 miles of the Philadelphia to New Jersey pharmaceutical manufacturing corridor only but we we will be rolling it out to other pharmaceutical and medical device manufacturing hubs. 2) Second, some online courses just open their doors and leave you to get on with it – our courses are different. Your Class Director is going to check when you log in and when you complete assignments and only will release the subsequent week’s materials to you if you have been logging in for more than 10 hours per week. We check this every week, for every trainee. If you start to fall behind, we notice and we WILL reach out by email or by phone to get you back on track. 3) Finally, we are an Irish/American company that grew out of an engineering consultancy, DPS Engineering. 20. Why should I choose your company? What makes you different? 81% of our 2016 graduates found a new job in 6 months, with over 40% of them securing a new position even before they completed our programme. Our graduates have gone on to work for the world’s leading blue chip pharmaceutical and medical device manufacturing companies such as Pfizer, Johnson & Johnson, Novartis, Roche, GSK, Teva, Sanofi, Amgen, Abbott, Abbvie, Boston Scientific, Stryker, Mylan, Bristol-Myers Squibb (BMS), MSD, Merck Group, Gilead Sciences, Regeneron, Medtronic, GE Healthcare, Lilly, West Pharma, Jazz Pharmaceuticals, Zimmer Biomet, Becton Dickinson and many more. We’re serious about helping you find a job. As well as your pharma course, you’ll have access to our career coaching program where we’ll teach you how to find a job in this sector. And we produce a huge amount of resources to help you with your job hunt. Our programs are supported by Governments in both Ireland (through the Springboard+ Program) and in Singapore (via the WDA) – two of the world’s major pharmaceutical manufacturing hubs. 21. How do the pharmaceutical and medical device manufacturing industries view candidates from the armed forces? Armed service members have an excellent reputation due to your attention to detail and disciplined experience with life-saving processes. A number of these companies have dedicated sections in their HR Departments focused solely on recruiting Veterans. 22. Why do I need retraining? Why can I just apply with the training I already have from being in military service? For some roles, you can. But for the roles we’ve outlined above, you are going to need to demonstrate that you can work with GMPs (Good Manufacturing Practices) and for that, your are going to need experience or a relevant industry qualification. Now a lot of Veterans and military personnel will find GMPs super easy to relate to as there is a huge amount of overlap between what you do on a daily basis and working in a pharmaceutical or medical device manufacturing facility. In fact, you can check just how much has your military training prepared you to work in pharma. Take this Quiz. It only takes 60 seconds. We offer military scholarships of $5,000. 24. What are the opportunities for career growth? There are significant opportunities for career growth within these sectors. The United States is a global leader in the medical device, pharmaceutical and biotech industries, which directly and indirectly supports millions of jobs across the United States. 25. Are the jobs stable and secure? Yes, this industry offers jobs that are stable, secure and free from the ups and downs of the economy. It takes time to bring people up to speed working in a GMP (Good Manufacturing Practices) regulated environment so companies tend to hire for the long term and have low turnover rates. 26. What kind of support will I get on the course? You’ll be able can get help from your Course Advisor, who will be there to keep you on track and make sure you get to the end of the course. We take a very hands on approach to our course delivery and believe the success in any learning program depends enormously on excellent communication between the student and your Course Advisor. As such, we will constantly be in touch with you throughout the duration of course and afterwards until you finally find a job. We offer a structured and disciplined environment throughout the program. You’ll also be enrolled in our robust career coaching program from day one. 27. What is included within your academically accredited courses? Accountability to a course advisor to keep you on track. Structured curriculum covering what you need for entry level roles in the Pharmaceutical and Medical Device manufacturing industry. Career Coaching to help you get the job you want. Complete the program requirements in full. Dedicate time to your job search consistently during and after your program ends. Communication with your course advisor about your progress and goals throughout. 29. What happens at the end of the course? We will continue to support and coach you until you find a job offer. Upon successful completion of all assignments and assessments, you will receive your academically accredited certificate from the Dublin Institute of Technology, Ireland (A Top 2% Times Higher Education globally ranked University). You will also receive college credits which can be used to gain a BSc degree with further additional study. 30. How long does it take to complete the academic program? It takes on average 12-months part-time, online study to complete your academic program, however, you will be able to start applying for jobs after 4-months study. This is self-paced study and so this timeframe can be reduced or extended based on your needs. Our students report to us that class work takes 14-16 hours/week. 31. Where are classes held? 32. How do online courses work? Online courses can start off great, but staying motivated can be a challenge. So, you’ll get regular feedback reports (and emails or phone calls if you fall behind!) to keep you on track. We know your military schedule can be unpredictable so we offer flexible delivery. Slow down, speed up or pause your course at any time. 33. What is the application process? If you’ve not applied already, the first step is to email your resume to your Course Advisor, Geraldine Creaner. Once done, she will respond within a maximum of 2 working days to arrange a convenient time to talk you through the application process. 34. Do you do job placements or internships? We don’t do placements or internships. 35. What does GetReskilled do? We deliver academically accredited conversion courses that help people leverage their qualifications and work experience to move into a career in the pharmaceutical and medical device manufacturing industry. 36. Where are you located? Our offices are based in the heart of Boston MA, in the Prudential Tower (close enough to hear roars from Fenway) but we deliver our courses online so you are able to complete it at home. Feel free to get in touch if you have any other questions or would like to discuss your specific circumstances.